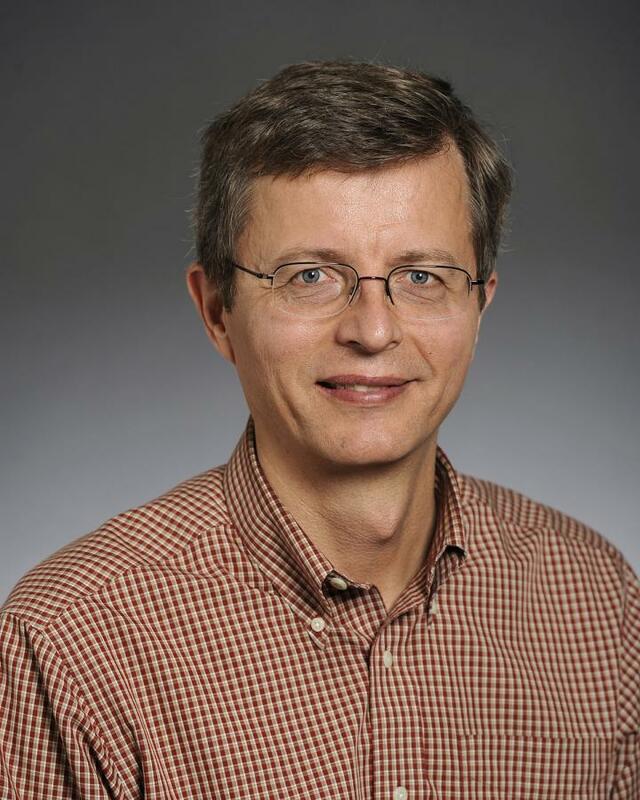 Carnegie Mellon University Physics Professor Randall Feenstra has been awarded the 2019 Davisson-Germer Prize in Atomic or Surface Physics from the American Physical Society. The award recognizes Feenstra's distinguished career in surface science, particularly his "pioneering developments of the techniques and concepts of spectroscopic scanning tunneling microscopy." A scanning tunneling microscope (STM) images surfaces at the atomic level. Unlike an optical microscope that provides a direct image of an object, the STM uses a stylus and electric current to scan the surface and record each atom. The STM was invented at IBM Zürich by Gerd Binnig and Heinrich Rohrer in 1981; they received the Nobel Prize in Physics for their work in 1986. After receiving his doctorate from the California Institute of Technology in 1982, Feenstra began his career at IBM labs in Yorktown Heights, New York. He traveled to Zürich to study Binnig and Rohrer's STM and returned to the United States where he reconstructed the STM, making his lab one of only a few in the country to have the technology. Over the years, Feenstra and his colleagues worked to continue to develop STM, with a particular emphasis on refining the specifications for the microscope and improving the computational tools that would convert STM data into images. He developed new STM systems that were used to study semiconductor surfaces in an ultra-high vacuum. Along with his postdoc Joseph Stroscio, he created new techniques that allowed them to make novel observations about specific materials, including gallium arsenide, a semiconductor used in integrated circuits, light emitting diodes (LEDs) and solar cells. Feenstra joined the faculty of Carnegie Mellon's Department of Physics in 1995. In his early work at CMU, Feenstra, with Electrical and Computer Engineering Professor David Greve, developed a molecular beam epitaxy system to grow gallium nitride films, which are essential components of blue LEDs and microwave transistors. The system included a STM, which they used to image the surface atomic arrangement and thereby understand and optimize the growth procedures. Feenstra's current research focuses on the development of two-dimensional (2D) materials. Two-dimensional materials are made by stacking one-atom-thick layers of different materials, creating a heterostructure. By carefully selecting the materials in each layer, scientists can create specific electronic properties that can enhance a material's performance and create new functionalities. Feenstra uses low-temperature STM to study these semiconductor heterostructures and determine their unique electronic properties. A native of Vancouver, Canada, Feenstra earned his bachelor's degree in engineering physics from the University of British Columbia, and his master's and doctorate degrees in applied physics from the California Institute of Technology. He has received numerous awards for his work, including the Alexander Von Humboldt Foundation Research Award, the Peter Mark Memorial Award of the American Vacuum Society and the IBM Outstanding Innovation Award. He is a Fellow of the American Physical Society and the American Vacuum Society. Feenstra has published more than 230 papers in peer-reviewed journals and contributed seven book chapters, which have been cited more than 10,000 times. The Davisson-Germer Prize was established in 1965 to recognize and encourage outstanding work in atomic or surface physics. The prize is named after Nobel laureates Clinton Davisson and Lester Germer who first measured electron diffraction. Davisson was a physics faculty member at the Carnegie Institute of Technology, which merged with the Mellon Institute of Industrial Research in 1967 to form Carnegie Mellon University.